10 days and counting until bids must be submitted. Browse our galleries and go through the lot list. 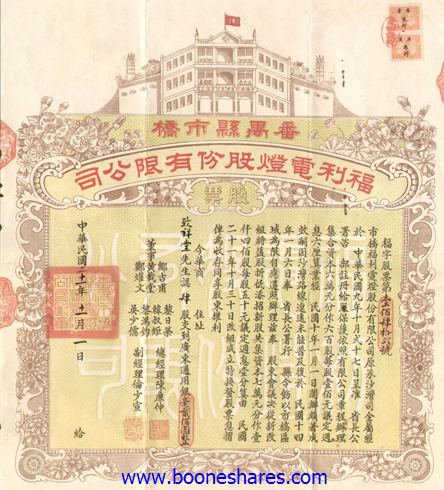 Faked new Denomination of 1937 China Liberty Bond? A young German scripophilist from the Saar region informed us about a most probably faked 100.000$ China Liberty bond (1937) offered on ebay.de lately (item # 301603074892). For more details download the article here. At about €100,000 less start-price as well as total hammer-price than last year, but only 100 lots less, the first German auction of 2015 went well and was fun to watch. 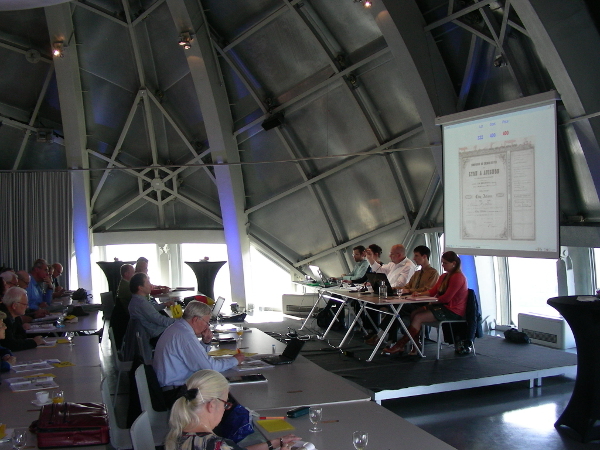 IBSS member Dieter Engel held a lecture on short stories of Maritime Companies before the auction. 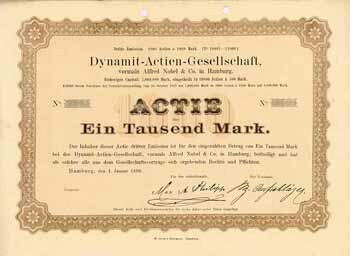 The most fighted piece in the room was a mainly unknown Dynamit-AG vormals Alfred Nobel & Co in Hamburg, Actie 1,000 Mark, 1890, specimen, unseen and oldest share of the company so far. It hit €7,500, after a call price of 1,700. 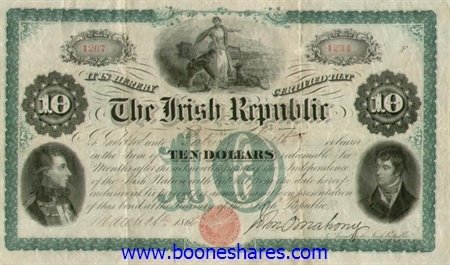 The full auction report will be published in our SCRIPOPHILY journal in April. 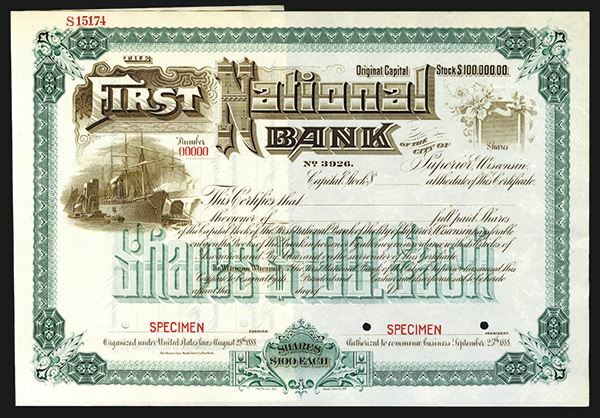 800+ lots of U.S. and Worldwide Banknotes, Scripophily & Security Printing Ephemera. 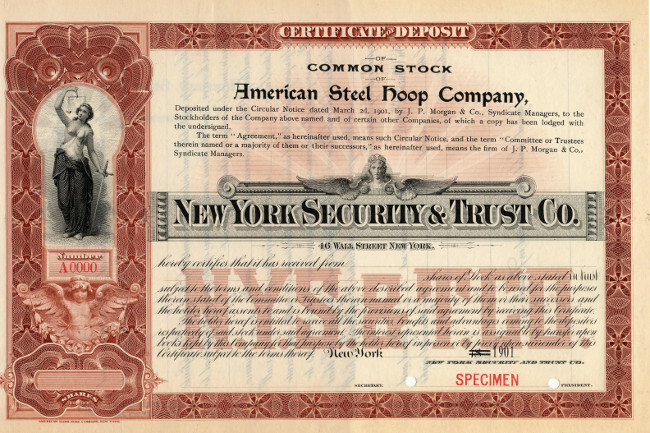 Scripophily comprises 615 lots beginning with number 200. 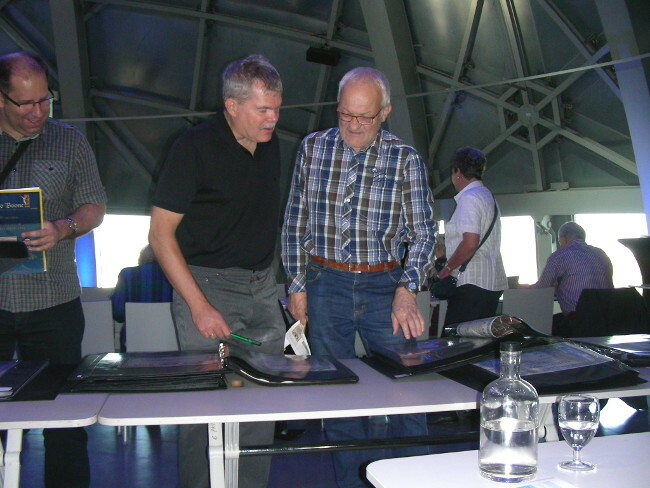 A singular event was Mario Boone’s auction in the Brussels Atomium. 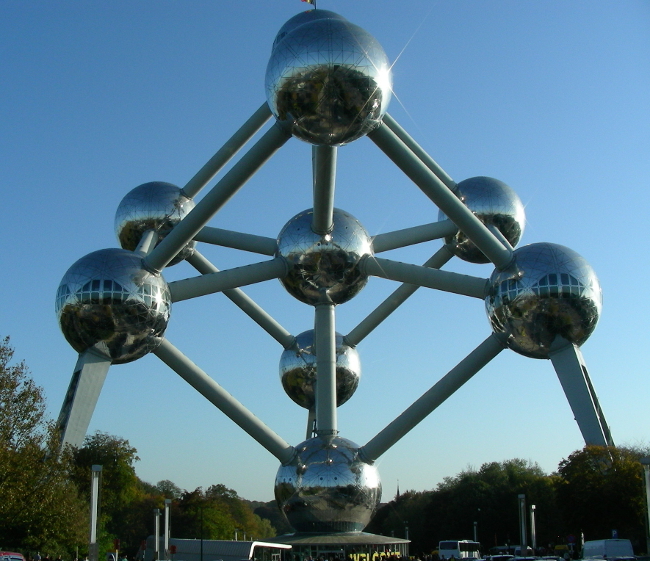 He plans to offer his autumn auctions in Brussels from now on but the Atomium was a one-off for the start in Brussels. 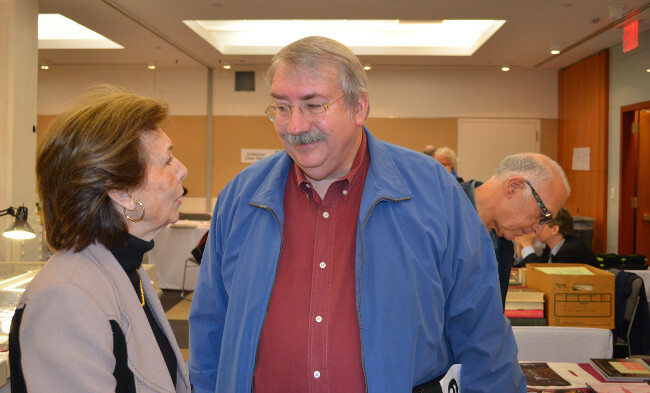 About 35 mostly well known participants gathered throughout the day in the event ‘sphere’ of the 1958 Expo building and in the afternoon some new faces could be seen. 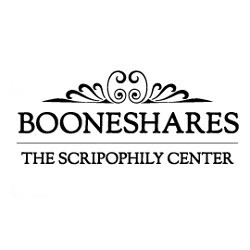 Boone offered his usual mix of a wide variety of countries and themes. The smaller than usual number of lots (1,289) allowed for longer breaks on a very sunny day with excellent catering by the host. The overall result of the auction was € 175,718 (£ 137,700/$220,100), 60% sold. Apart from the Baron Empain collection of almost 600 pieces offered at € 25,000 (not sold), the auction did not have any huge highlights. 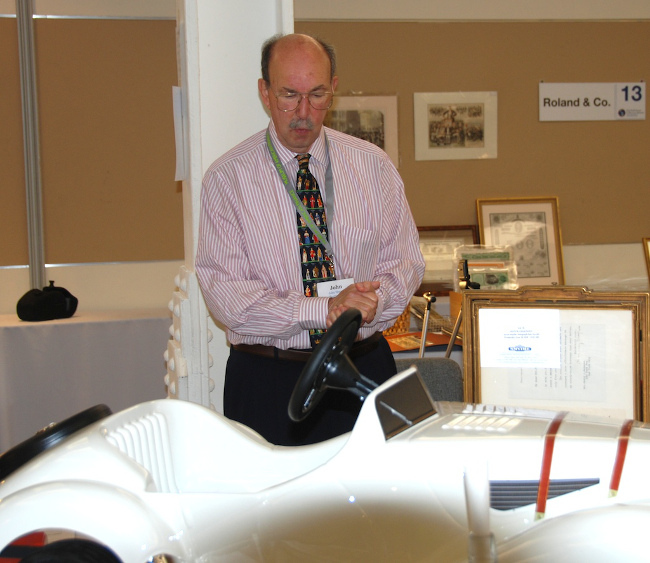 Nevertheless the quality of the offered lots was very good and ambitious collectors found a selection of new valuables. Most of the four-digit lots were sold. 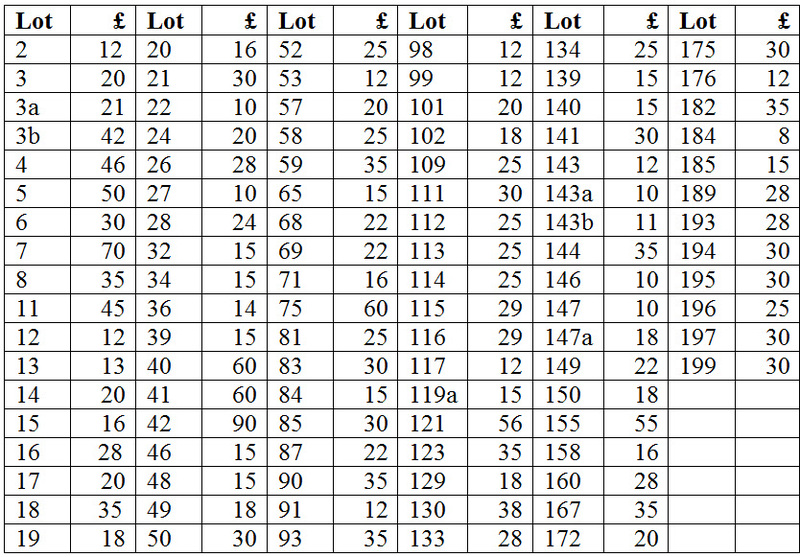 Twenty-six lots exceeded a hammer price of € 1,000 and 16 of those went for more than € 2,000. Russia dominated this range and also provided the two top prices at € 5,200 – Baron E E Bergenheim, starting from only € 600, and Company for Steamshipping Services between Kronstadt, Oranienbaun & St Petersburg (start price € 2,500), both graphically unexciting though. 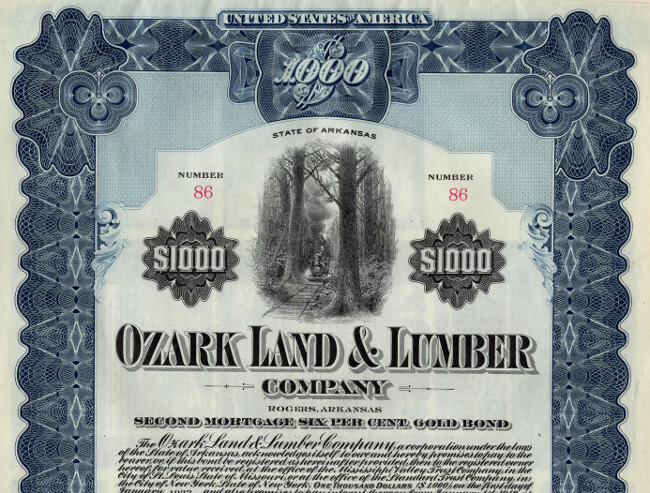 These were closely followed by two others massively above expectations: Grain-Sucre SA 1913 share at € 4,800 (start price € 1,100) and NSN Kistova Timber Industry share 1916 at € 4,600 (starting at € 800). In total 58% of the 98 Russians were sold. Amongst the 70 British, 53% sold. The leader here at its € 2,500 start price (£ 1,960) was a 6% bond issued in 1698, doubling as a lottery ticket to win a share in future profits in the Welsh mines “late of Sir Carbery Pryse”, which eventually became the Company of Mine Adventurers of England. 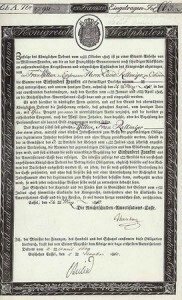 A 1725 South Sea Company annuity went for € 450 (£ 350), its start price, and an Exchequer Bill issued in 1720 to support the company, not in top condition, sold for € 1,000, also its start price. 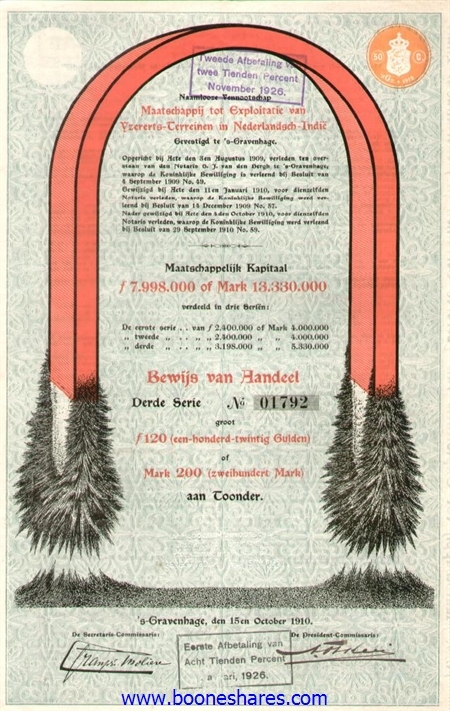 The two largest sections were Belgium and France, which each sold 53% or so of 150 lots. China was strong, 77% sold, several above start prices, such as a 1939 share of the Lu Hsing Bank at € 1,000 (double the start). Outstanding was a 1932 Vickers Loan £ 1,000 sold for € 1,300 (€ 200 start). 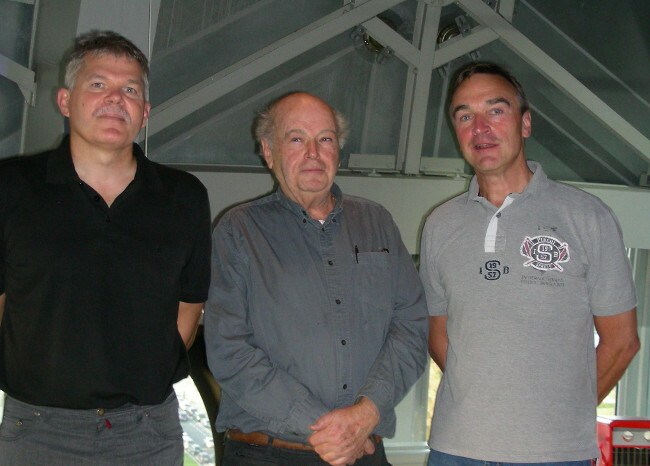 Common Belgian pieces – sometimes for a small € 10 start price – and US pieces, 48% sold, aroused little interest. 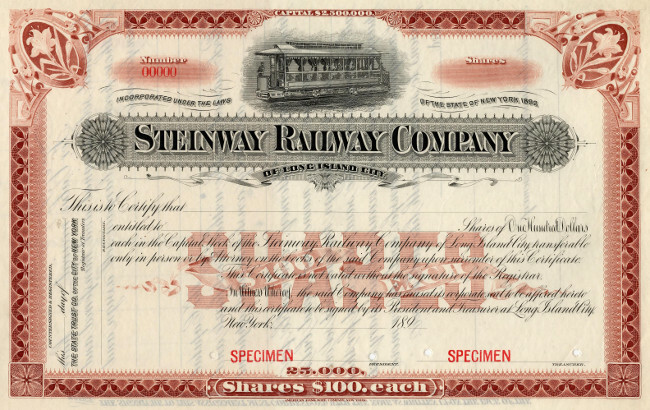 An exception was a very early and rare railroad share – the Philadelphia, Germantown & Norristown Rail Road Co, 1834 – sold for its € 700 start price ($ 875). 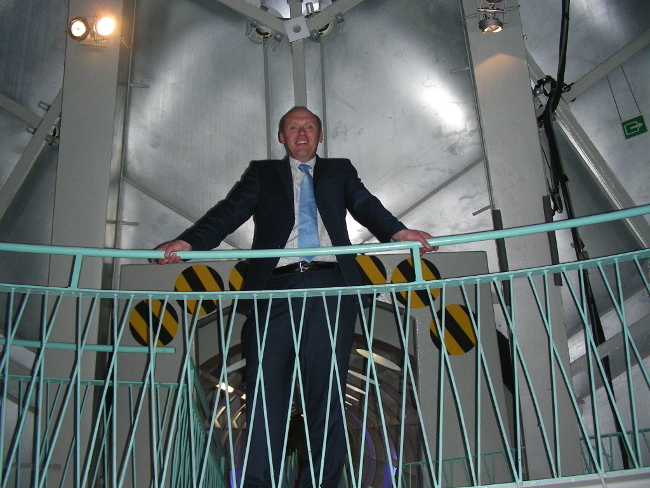 A group dinner in the top sphere of the Atomium ended the day. The bourse on the Sunday was as quick as the room was small. 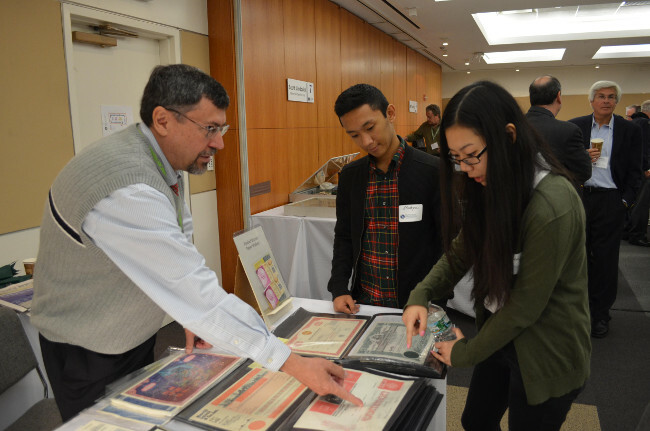 Professional participants had made most of the deals before the first collector hit the scene. Some dealers had already left by noon.